Microsoft admins seeking solid server-side tools know the mothership offers a mother lode of solutions for supporting Windows Server, Exchange Server, SQL Server, SharePoint, and so on. But for those with an eye on the bottom line or looking to branch out in supporting their Microsoft-based server room, plenty of free, open source tools from both Microsoft, via CodePlex, and third-party providers are available. 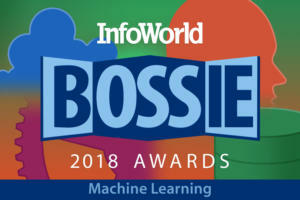 Given Microsoft’s ongoing shift toward hosted solutions like Azure and Office 365, there is more incentive for Microsoft admins to keep an eye on what’s evolving in the Windows admin tools ecosystem. 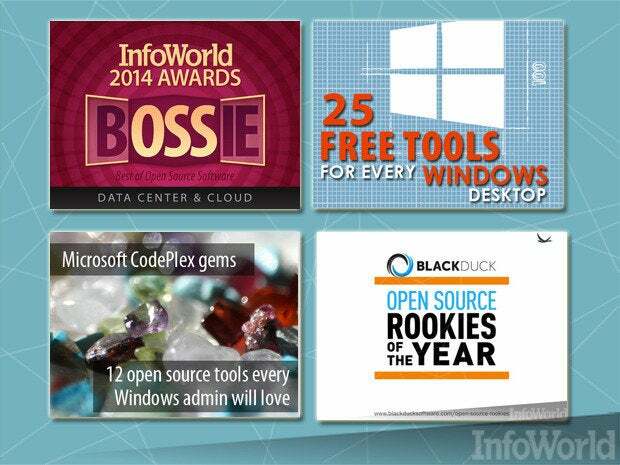 Following is a roundup of open source tools every Windows admin should be aware of. We last surveyed this territory three years ago, and while some tools have cemented their place in the Windows admin arsenal, Microsoft’s shift in focus toward the cloud is giving rise to a new set of essentials. Don’t see your favorite tool(s)? Use the comments section to contribute to the list! Get all these tips in a downloadable PDF with InfoWorld's quick guide. WinDirStat, aka Windows Directory Statistics, is a disk usage tool that provides a variety of statistical views for analyzing how a system’s disk is being used. Every admin wrestles with disk space issues time and again, whether in support of user systems or when monitoring software generates an alert for a critical production server. Sometimes you can quickly see what is taking up all of the disk space on the troubled system, but for those times when it's not so obvious or you are in a hurry, there is WinDirStat. Network packet analysis and troubleshooting is a real art, one that requires solid training and years of hands-on experience. But a tool like Wireshark helps ease the learning curve, thanks to its many powerful features. 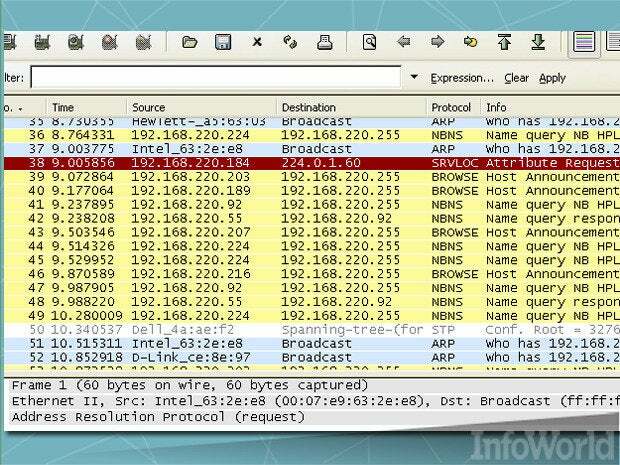 One look at this free software-based protocol analyzer's color-coding features and you'll see how its superior usability makes Wireshark a worthwhile tool for any Microsoft shop. No list of open source tools used by system administrators would be complete without a mention of PuTTY, one of the most widely used terminal emulators. Whether you need to make a serial connection to a switch, telnet, SSH, SCP, or rlogin, PuTTY can handle it. It's been around since the late ’90s and has spawned dozens of imitators, but none quite like the original. Admins looking to ease the pain of backing up Windows-based systems should check out AMANDA, aka Advanced Maryland Automatic Network Disk Archiver. AMANDA provides the ability for an administrator to set up a single master backup server that can support both Windows desktops and servers over the network to a variety of media, including tape drives, disks, or optical media with NTFS support. ZMANDA maintains and supports the freely available AMANDA, as well as ZMANDA Recovery Manager for MySQL. It also provides network and cloud backup services it sells commercially. Nmap is a network mapping tool that is great for finding out what hosts and services are connected to a given network. While Nmap is often used in the context of security auditing, particularly for detecting open ports and vulnerabilities, many system administrators find it useful for simply keeping track of what is on their network, such as determining the operating system and hardware address of various hosts. That's merely scratching the surface. 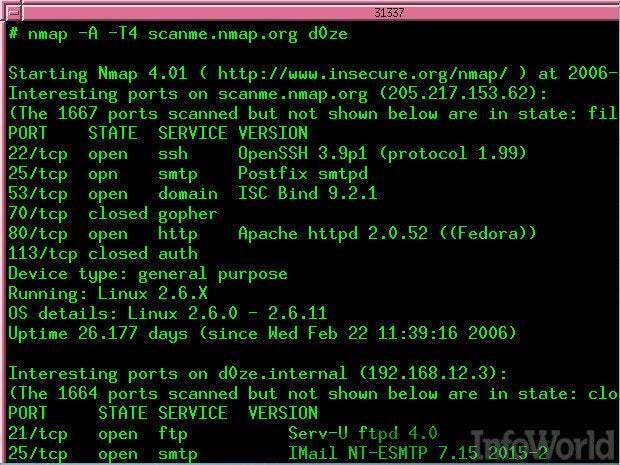 Nmap can be used in so many ways that it is very much worth exploring if you haven’t already. In addition to network inventory, Nmap can manage service upgrade schedules and monitor host or service uptime. If you’re looking for a more graphical means of tapping PowerShell (aside from PowerShell ISE), then you should check out PowerGUI. This free graphical user interface and script editor is valuable in its own right, but perhaps more valuable is the community built around PowerGUI, which offers a vast store of contributed scripts and libraries for administering your fleet. This tool was originally kept up to date through Quest, which was acquired by Dell. Some worried it wouldn’t be improved on going forward, but Dell has indeed continued to work on it. 7-Zip is a free, open source archive utility for compressing files. It’s a great alternative to better-known shareware, which should help you avoid the headaches of registering software or clicking through a bunch of warnings about an expired trial period. It supports 256-bit AES encryption and a wide variety of archive formats, so you probably won’t have to resort to another archive solution any time soon. Combine all this with fast, effective compression, and 7-Zip is easily a tool that you will find useful for yourself and the users you support in your organization. Although still in Beta, Azure Storage Explorer is swiftly progressing. It is a GUI tool for inspecting the data in your Azure cloud storage projects, including the logs of your cloud-hosted applications. Keep in mind the variety of Azure storage “explorers” since folks often want to view their data easily. Jeff Irwin, program manager for Windows Azure Storage, put together a list of these storage explorers, and you can quickly see Azure Storage Explorer compares with other offerings. It is one of the few with the ability to work with block blob storage, page blob storage, tables, and queues. If you find yourself often jotting quick notes in Notepad, you might want to check out Notepad++. Though easy and lightweight, Notepad is sorely lacking in anything but the basics. Notepad++, as the name implies, is an even better take on the trusty, built-in Notepad application. It’s a source code editor and Notepad replacement. This is no program for simply taking quick notes. It has a tabbed interface that allows you to switch quickly and easily between multiple open files, and it offers spell-check, auto-complete, and syntax highlighting -- perfect for writing scripts. That’s only scratching the surface of what Notepad++ has in store. There are many text editors, but Notepad++ is one to always have at the ready. UltraDefrag is a tool for Windows that can defrag system files, registry hives, and the paging file. It can handle NTFS metafile defragmentation, MFT defragmentation, the defragging of hibernation files, and more. It also provides HTML readable reports. This valuable addition to any Windows environment is continually updated to ensure improvements in performance. VirtualBox is a must-have open source virtualization solution for any admin seeking to run guest OSes on Windows, Linux, Macintosh, or Solaris machines. Familiarity with virtualization is fast becoming essential for all system administrators. VirtualBox is a quick and easy way to get started running your own virtual machines. Whether you want to test something out before running it in production or sharpen your skills on an OS you are less familiar with, VirtualBox is a great way to try out virtualization without having to invest in costly software. Using VirtualBox, admins can run virtual instances of a wide array of operating systems, including Windows, Linux, OpenSolaris, OS/2, OpenBSD, and even DOS. It’s an open source community effort backed by Oracle. Admins often need to quickly scan their network to find a particular workstation or device. There are lots of ways of doing this and plenty of tools to choose from, but when I need something quick and simple, I use Angry IP Scanner. Angry IP Scanner offers loads of features and can be extended further with additional plug-ins, but I like it for the fact that it is lightweight, not even requiring an installation. Give it a try and I'm sure it will become an indispensable part of your toolkit as well. 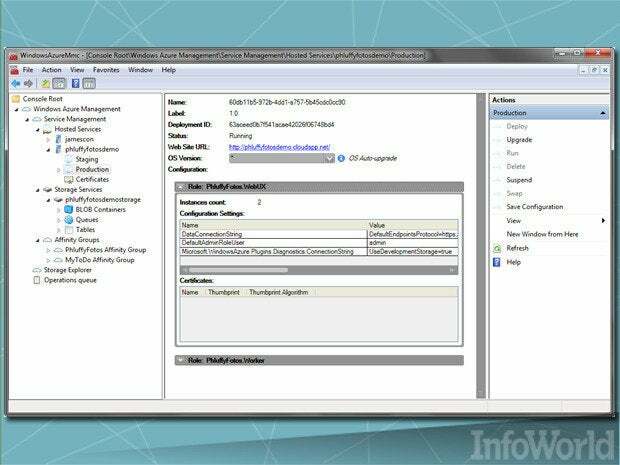 The Windows Azure Platform Management Tool enables you to manage your Azure-hosted services and storage accounts through an installed MMC console GUI. You can perform a variety of administration and management operations through WAPMMC, including hosted service management, diagnostics, certificate management, storage services, blog storage management, and so on. Anyone moving to Microsoft’s cloud will find this tool indispensable. This is an interesting solution for those folks who want to use the powerful and familiar Google Analytics tools within SharePoint and Office 365. It’s a sandbox solution that allows you to then paste the analytics code into Office 365 sites. It works with publishing sites and collaboration sites, so if your organization is hosting team sites, blogs, and the like, check it out. This free, open source antivirus solution is essential for security-minded admins. ClamWin supports Microsoft Windows versions ranging from Windows 98 to Windows 8, as well as Windows Server 2012, 2008, and 2003. It includes a scanning scheduler that you can use to configure appropriate scan times, automatic signature updates, Microsoft Outlook attachment scan/removal, and more. Although it may not be 100 percent comparable to a commercial real-time option for virus scanning, ClamWin is certainly a worthwhile tool, especially for shops seeking a free solution. There are other free solutions, obviously, but this one is also open source, a definite plus.